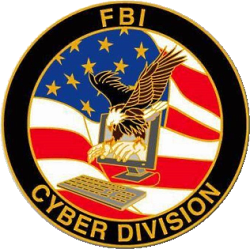 The FBI’s cyber division specializes in all types of cyber-crime investigations, including cyber extortion, financial account takeover, malware distribution, botnet operations, and denial of service attacks. The Chicago ACM is pleased to bring FBI Special Agent Patrick Geahan to discuss firsthand the FBI’s role in combating cyber threats, and present an overview of the FBI’s Cyber program. SA Geahan will provide a breakdown of the major cyber threats, including the objective of the attackers, the typical attack methodology employed, and some of the resulting impacts. The threats he will address will include foreign governments, ideologically-motivated attackers, traditional cyber criminals, and mitigation and preparedness recommendations. Patrick Geahan has been an FBI special agent for nine years. During his tenure, he has worked assignments in national security, violent crime, and computer intrusion. He holds a Bachelor's degree in computer science from Michigan Technological University, and worked in the private sector in network and security operations before joining the FBI.